Guarantee period starts from the delivery date and for 2 years. All part of the good is under our waranty. If tyre goes out of oreder in waranty period, repair time is being added to waranty period. Repair time of tyre is max. 30 days. This period starts from the notification date. Unless the Claim of industrial good can not be repaired in 5 days, exporter or importer must provide equivalent good to customer. In case of failure due to both material and workmanship and also mounting errors in warranty period, the good will be repaired without any charge such as labor cost, replaced part or under any other name. Repating the same claim in a year more than twice from delivery date within guarantee period or different claims more than four times and due to these claims becoming unable to use the good. Exceeding the repair time period. If the service station is not available,with a report that shows the good is unrepairable by in turn; saler, dealer, representative, importer or manufacturer, it will be replaced without any charge. The claims due to improper useage against instruction manual are not covered by waranty. Within waranty period, manufacturer or importer can not request a fee for periodical maintenance or the service which is stipulated by manufacturer or importer. Any problems regarding Certificate of Warranty, you can consult with Ministry of Industry and Commerce. Different usage other than manufacturer’s recommended tyre and wheel size. Damaged tyres by a foreign material such as shingle,nail,glass etc. Damages due to external factors like bump, hole, pavement and misuse. Damages caused by tubes of different brands and sizes. Damages due to improper air pressure. Damages on tread area caused by sudden brakes at high speeds. Damages due to different tyre brand and feature match-up. Damages occured in bead or another area while mounting/demounting the tyre. Damages due to keeping tyres under sunlight, exposured to ozone or electric generators by tyre owner. Damages may be occured because of using on improper road conditions. Deformations on tyre caused by not using for a long time. Claim tyre is brought to Konlas Authorized Dealer with each one copy of Certificate of waranty, Invoice and Vehicle Licence but within waranty period. Tyre Inspection Form is submitted by authorized dealer and the claim tyre received for inspection. Claim tyre is inspected by our Technical Team. The claim tyre which has been detected as manufacturer’s fault is processed under waranty terms. Tyres not covered by waranty are rejected and via authorized dealer sent back to customer. 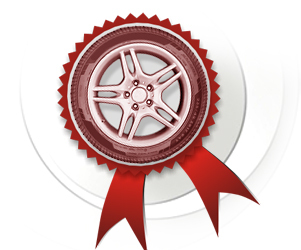 The results of inspection is notified in written to tyre owner or authorized dealer.